﻿ Even if you don’t like August Burns Red’s music, it’s so easy to respect them regardless. They’re one of the most technically proficient metalcore bands out there, frequently bending genre conventions to their own will for a sound that’s always compelling, if not directly accessible. What’s more, it’s actually paid off for them: their 2015 track Identity was nominated for a Grammy, a huge feat in itself, but for a band as contemporary and technically savvy as this, it’s almost unprecedented. They may never have received the commercial success of many of those who they’ve seen come and go, but as far as critical adoration goes, few are held in such high esteem as August Burns Red. That intro could essentially be copied and pasted into every future August Burns Red review, as eight albums in, it’s relatively easy overall to decipher their overall game-plan – a metalcore album that remains as crushingly heavy as expected, but with an emphasis on technicality that many neglect. Phantom Anthem is that to a T, perhaps not as pliable as some of their past efforts, but still solidly holding down the fort as far as more creative metalcore goes. And that’s why it’s difficult to say much about it, mainly because Phantom Anthem, for as impressive as musicians as August Burns Red are, doesn’t have much in the way of songwriting to back it up. It’s definitely a good album by virtue of performance alone, but it doesn’t offer a great deal else beyond that. And for a band like this, that can be a significant stumbling block when the quality of music doesn’t match that of the actual songs. Fortunately this isn’t a problem with the entirety of Phantom Anthem – Float is probably the most obvious candidate with its swathes of gang-sung refrains, and fragments of melody on The Frost and Coordinates make for more focused compositions overall – but a lot of Phantom Anthem is weighed down by songwriting that can’t keep up with where it’s instrumentation is going. There are certainly worse problems to have as far as album construction is concerned, but it does mean that Phantom Anthem can start to lose its way in spots, and without a clear standout track, the whole body of work can start to bleed together. Granted, this would be a much greater issue if the instrumentation wasn’t up to snuff, and if there’s a criticism to be made about this album, it’s not that. As ever, August Burns Red are bending metalcore’s rules to fit their own needs, and it makes for one of the most precise, instrumentally dazzling albums the genre has produced in some time. There’s a sense of grandeur in Jake Luhrs’ screams and his decision to stick with them for the duration of the album, and when placed in the widescreen context of tracks like Quake and especially Lifeline, this album can physically ripple with power when it wants to. And with August Burns Red’s penchant for throwing in less-characteristic sounds into the mix, like the slide guitar at the back end of Generations or the frigid synths and beats on Carbon Copy, Phantom Anthem ensures the band remain streets ahead of most metalcore acts in terms of imagination. But again, that could be applied to virtually any August Burns Red album. They’ve become such a consistently praiseworthy staple in metalcore that it’s hard to blame them for sticking to such a workable template, and even though it’s not exactly faltering just yet, the potential for it to be manipulated into something with more staying power still needs to be taken advantage of. 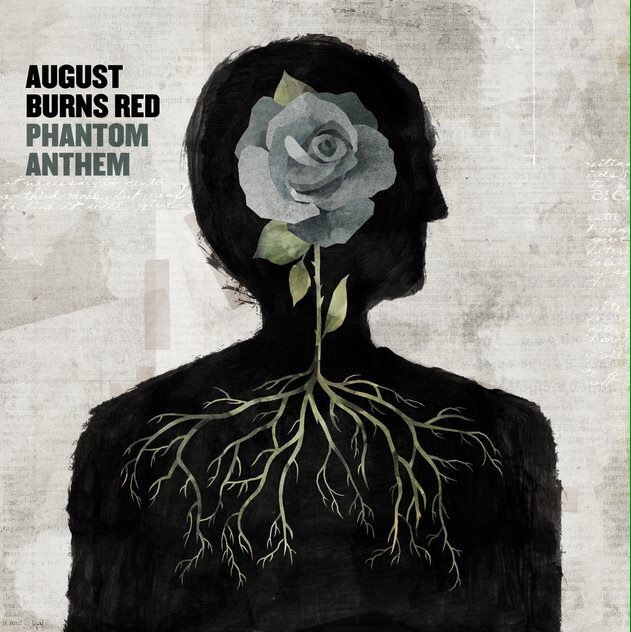 With albums like Phantom Anthem, it becomes evident why August Burns Red are so prolific with their releases – they have a lot to offer, but whether it lasts that long is a different question, and this album is a prime example. Fans will definitely be pleased with this, but if this isn’t one that undergoes repeated spins, no one would really blame them. ‘Phantom Anthem’ by August Burns Red is out now on Fearless Records.